Below article/letter was forwarded to me by a Spanish friend. It is an interesting piece written by a prominent Egyptian Jesuit concerned about the anachronism, dogmatism, etc. of the Catholic Church. Father Boulad raised issues that greatly bugged the honestly critical minds of Catholic churchmen and laymen during the 1960s period of Vatican Council 2, which was initiated by one of the greatest popes (to me) Pope John XXIII. The refreshing openness of that time was removed by charisma-laden but very conservative Pope Paul II. Very bright and intellectually progressive during his younger years as a staff for a German Bishop, Ratzinger (Pope Benedict XVI) was rattled by student activism/revolts of the 1960s and turned the already shy and emotionally insecure priest into a, conservative intellectual behind the late Pope Paul II. Later promoted as Prefect for the Congregation for the Doctrine of the Faith (previously aka Holy Office), then Cardinal Ratzinger influenced the latter to have the teaching license of his former friend/colleague, the radical/dissident theologian Father Hans Kung revoked and thus effectively had Kung removed from the University of Tubingen; and he influenced Paul II to speak against Liberation Theology widely practiced in Latin America. Both Pope Benedict XVI and his predecessor Pope Paul II are in essence catholic fundamentalists; however the latter projects a "feel good" personality comparable to Ronald Reagan's which Benedict does not have. I think Fr. Boulad's exercise is futile. I used the Google translator and did not do any editing. The most prominent Egyptian Jesuit Church in intellectual areas, Henri Boulad, launches an SOS to the Church today in a letter to Benedict XVI. The letter was forwarded through the Nuncio in Cairo. The text circulated in media worldwide church. I dare to speak directly to you, because my heart bleeds to see the abyss into which our Church is precipitating. Subsidiary will excuse my frankness, both inspired by "freedom of the sons of God" to which St. Paul calls us, and my passionate love for the Church. I also apologize for the alarmist tone of this letter because I think that "are less five" and that the situation can not wait. Let me introduce myself first. Jesuit Egyptian-Lebanese Melkite rite, will soon be 78 years. For three years I was rector of the Jesuit College in Cairo, having held the following positions: superior of the Jesuits in Alexandria, regional superior of the Jesuits in Egypt, a professor of theology at Cairo, director of Caritas-Egypt vice president of Caritas Internationalis Middle East and North Africa. I know very well the Catholic hierarchy in Egypt for many years and I participated in its meetings as President of the superiors of religious institutes in Egypt. I have very close relationships with each of them, some of whom are former students of mine. Furthermore, I personally know Chenouda Pope III, whom she saw often. As for the Catholic hierarchy in Europe, I had occasion to meet personally many times with one of its members, as Cardinal Koenig, Cardinal Schönborn, Cardinal Martini, Cardinal Danneels, Archbishop Kothgasser, diocesan bishops and Kapellari Küng, the other Austrian bishops and other bishops from other European countries.These meetings occur during my annual trips to lecture in Europe: Austria, Germany, Switzerland, Hungary, France, Belgium ... In these journeys I address many different audiences and the media (newspapers, radios, TVs ...). I do the same in Egypt and the Middle East. I have visited almost fifty countries on four continents and have published some thirty books in fifteen languages, especially French, Arabic, Hungarian and German. Of the thirteen books in this language, you may have read "Gottessöhne, Gottestöchter" [Sons and daughters of God], he sent his friend Fr Erich Fink of Bavaria.I say this not to brag, but to say simply that my intentions are based on real knowledge of the universal Church and its current status in 2009. * 1. Religious practice is in constant decline. A dwindling number of elderly people, which disappear quickly, are those that frequent the churches in Europe and Canada. There will be forced to close these churches and turn them into museums, mosques, clubs or municipal libraries, as is already done. What surprises me is that many of them are being completely renovated and modernized by large expenditures so as to attract the faithful. But this is not what will stop the exodus. * 2. Seminaries and novitiates emptied at the same rate, and vocations plummet. The future is rather bleak and you wonder who will take over. More and more parishes are run by European priests from Asia or Africa. * 3. Many priests leave the priesthood and the few who still exercise, whose mean age often exceeds that of retirement, have to deal with many parishes, administrative and expeditious manner. Many, both in Europe and in the Third World, cohabiting in view of its followers that normally accept them, and their bishop, who can not accept it, but given the shortage of priests. * 4. The language of the Church is obsolete, outdated, boring, repetitive, moralizing, totally unsuited to our times. It is not at all accommodating or demagoguery, because the message of the Gospel must be presented in all its rawness and demanding. We need greater good approaches to this "new evangelization" that Pope John Paul II invited us. But this, unlike what many think, is not to repeat the old way, which says nothing, but to innovate, to invent a new language to express faith in an appropriate manner and that has meaning for people today . * 5. This can not be made only through a thorough renewal of theology and catechesis, to be completely rethought and reformulated. A German priest and religious who recently met told me that the word "mystic" was not mentioned even once in "The New Catechism." I could not believe. We notice that our faith is very cerebral, abstract, dogmatic, and very little goes to the heart and body. * 6. Consequently, many Christians are turning to Asian religions, sects, new-age, evangelical churches, occultism and so forth. No wonder. They will look elsewhere for food are not at home, have the impression that we give them stones like bread. The Christian faith that once gave meaning to people's lives, is an enigma to them today, remnants of a past finished. * 7. On the moral and ethical opinions of the Magisterium, repeated to satiety, on marriage, contraception, abortion, euthanasia, homosexuality, marriage of priests, divorced and remarried, etcetera, and do not affect anyone and only produce carelessness and indifference. All these moral and pastoral problems deserve more than categorical statements. Pastoral need of a treatment, sociological, psychological, human ... in a more evangelical line. * 8. The Catholic Church, which was the great educator of Europe for centuries, seems to forget that Europe has reached maturity. Our adult Europe does not want to be treated as minor.Paternalistic style of a Church "Mater et Magistra" is definitely outdated and no longer works today. Christians have learned to think for themselves and are not willing to swallow anything. * 9. Catholic nations before-France, "eldest daughter of the Church" or "ultra-Catholic French Canada have a 180 º and have fallen into atheism, anticlericalism, agnosticism and indifference.In the case of other European nations, the process is underway. One can see that the more controlled and protected by the Church has been a town in the past, the stronger the reaction against it. * 10. The dialogue with other churches and religions are in retreat today concern. The great advances made over the past half century are at stake at this time. Faced with these facts almost devastating, the reaction of the church is twofold:- It tends to downplay the seriousness of the situation and consoling to see some pickup in its most traditional faction, and in third world countries.- Appeals to the trust in the Lord, who has held for twenty centuries and it will be able to help her overcome this new crisis, as it did with the previous ones. Does not it promise of eternal life? I answer:- Not relying on the past or getting your crumbs as resolving the problems of today and tomorrow.- The apparent vitality of the churches in the Third World is equivocal. Apparently, these new churches will go through sooner or later by the same crisis that has seen the old European Christianity.- Modernity is irreversible and have forgotten is that the Church is today in such a crisis. The Vatican II attempted to recover four centuries later, but one gets the impression that the Church is slowly closing the doors opened then, and tempted to turn to Trent and Vatican I, rather than to Vatican III. Recall the statement of John Paul II often repeated: "There is no alternative to the Vatican II".- How much longer will play politics of the ostrich and bury our heads in the sand? How long will avoid looking at things in front? How much longer will his back, twitching against all criticism, rather than see this as an opportunity for renewal? How long ad will continue to drag on forever postponing a reform that is imposed and it has been abandoned for too long? - Just by looking resolutely forward, not back the Church fulfill its mission of being "light of the world, salt of the earth, the leaven in the dough. However, and unfortunately today we have noticed is that the Church is in the tail of our time, having been the locomotive for centuries.- I repeat what I said at the beginning of this letter: "ARE AT LEAST FIVE!" - Fünf vor zwölf! - History does not wait, especially in our age, which is packed and the pace is accelerating.- Any commercial operation that finds a deficiency or dysfunction is reconsidered immediately, meet experts, tries to recover, mobilize all their energies to overcome the crisis.- Why the Church does the same? Why not mobilize all its forces for a living radical aggiornamento? Why?- Why laziness, carelessness, pride, lack of imagination, creativity, quietism guilty in the hope that the Lord will manage and that the Church has experienced other crises in the past?- Christ in the Gospel warns us: "The sons of darkness manage their affairs better than the children of light ..."
1. A theological and catechetical reform to rethink and reformulate the faith in a coherent manner to our contemporaries.A faith that no longer means anything, it gives meaning to existence, is nothing more than an ornament, useless superstructure falls herself. This is the case today. 2. A pastoral reform to rethink from top to bottom inherited structures. 3. A spiritual reform to revitalize the mystique and rethink the sacraments in order to give an existential dimension, to articulate with life. Have a lot to say about that. The Church today is too formal, too formal. One has the impression that the institution asphyxiation charisma and that what ultimately counts is purely external stability, honesty surface, some facade. Do not run the risk that one day Jesus will try to "whitewashed tombs"? Finally, I suggest the convening of a general synod of the church universal level, with the participation of all Christians, Catholics and others to discuss frankly and clearly the points made above and those that are proposed. That synod, which lasted three years, ending with a general-we avoid the term "council" - to synthesize the results of this research and draw conclusions from there. End, Holy Father, asking forgiveness for my frankness and boldness, and ask your paternal blessing. Let me also say that I live these days in his company, thanks to the extraordinary book "Jesus of Nazareth", which is the subject of my spiritual reading and meditation daily. El jesuita egipcio más destacado en los ámbitos eclesial e intelectual, Henri Boulad, lanza un SOS para la Iglesia de hoy en una carta dirigida a Benedicto XVI. La misiva ha sido transmitida a través de la Nunciatura en El Cairo. El texto circula en medios eclesiales de todo el mundo. Permítame en primer lugar presentarme. Jesuita egipcio-libanés de rito melquita, pronto cumpliré 78 años. Desde hace tres años soy rector del colegio de los jesuitas en El Cairo, tras haber desempeñado los siguientes cargos: superior de los jesuitas en Alejandría, superior regional de los jesuitas de Egipto, profesor de teología en El Cairo, director de Caritas-Egipto y vicepresidente de Caritas Internationalis para Oriente Medio y África del Norte. *1. La práctica religiosa está en constante declive. Un número cada vez más reducido de personas de la tercera edad, que desaparecerán enseguida, son las que frecuentan las iglesias de Europa y de Canadá. No quedará más remedio que cerrar dichas iglesias o transformarlas en museos, en mezquitas, en clubs o en bibliotecas municipales, como ya se hace. Lo que me sorprende es que muchas de ellas están siendo completamente renovadas y modernizadas mediante grandes gastos con idea de atraer a los fieles. Pero no es esto lo que frenará el éxodo. *2. Seminarios y noviciados se vacían al mismo ritmo, y las vocaciones caen en picado. El futuro es más bien sombrío y uno se pregunta quién tomará el relevo. Cada vez más parroquias europeas están a cargo de sacerdotes de Asia o de África. *3. Muchos sacerdotes abandonan el sacerdocio y los pocos que lo ejercen aún -cuya edad media sobrepasa a menudo la de la jubilación- tienen que encargarse de muchas parroquias, de modo expeditivo y administrativo. Muchos de ellos, tanto en Europa como en el Tercer Mundo, viven en concubinato a la vista de sus fieles, que normalmente los aceptan, y de su obispo, que no puede aceptarlo, pero teniendo en cuenta la escasez de sacerdotes. *4. El lenguaje de la Iglesia es obsoleto, anacrónico, aburrido, repetitivo, moralizante, totalmente inadaptado a nuestra época. No se trata en absoluto de acomodarse ni de hacer demagogia, pues el mensaje del Evangelio debe presentarse en toda su crudeza y exigencia. Se necesitaría más bien proceder a esa "nueva evangelización" a la que nos invitaba Juan Pablo II. Pero ésta, a diferencia de lo que muchos piensan, no consiste en absoluto en repetir la antigua, que ya no dice nada, sino en innovar, inventar un nuevo lenguaje que exprese la fe de modo apropiado y que tenga significado para el hombre de hoy. *5. Esto no podrá hacerse más que mediante una renovación en profundidad de la teología y de la catequética, que deberían repensarse y reformularse totalmente. Un sacerdote y religioso alemán que encontré recientemente me decía que la palabra "mística" no estaba mencionada ni una sola vez en "El nuevo Catecismo". No lo podía creer. Hemos de constatar que nuestra fe es muy cerebral, abstracta, dogmática y se dirige muy poco al corazón y al cuerpo. *6. En consecuencia, un gran número de cristianos se vuelven hacia las religiones de Asia, las sectas, la new-age, las iglesias evangélicas, el ocultismo, etcétera. No es de extrañar. Van a buscar en otra parte el alimento que no encuentran en casa, tienen la impresión de que les damos piedras como si fuera pan. La fe cristiana que en otro tiempo otorgaba sentido a la vida de la gente, resulta para ellos hoy un enigma, restos de un pasado acabado. *7. En el plano moral y ético, los dictámenes del Magisterio, repetidos a la saciedad, sobre el matrimonio, la contracepción, el aborto, la eutanasia, la homosexualidad, el matrimonio de los sacerdotes, los divorciados vueltos a casar, etcétera, no afectan ya a nadie y sólo producen dejadez e indiferencia. Todos estos problemas morales y pastorales merecen algo más que declaraciones categóricas. Necesitan un tratamiento pastoral, sociológico, psicológico, humano... en una línea más evangélica. *8. La Iglesia católica, que ha sido la gran educadora de Europa durante siglos, parece olvidar que esta Europa ha llegado a la madurez. Nuestra Europa adulta no quiere ser tratada como menor de edad. El estilo paternalista de una Iglesia "Mater et Magistra" está definitivamente desfasado y ya no sirve hoy. Los cristianos han aprendido a pensar por sí mismos y no están dispuestos a tragarse cualquier cosa. *9. Las naciones más católicas de antes -Francia, "primogénita de la Iglesia " o el Canadá francés ultracatólico- han dado un giro de 180º y han caído en el ateísmo, el anticlericalismo, el agnosticismo, la indiferencia. En el caso de otras naciones europeas, el proceso está en marcha. Se puede constatar que cuanto más dominado y protegido por la Iglesia ha estado un pueblo en el pasado, más fuerte es la reacción contra ella. *10. El diálogo con las demás iglesias y religiones está en preocupante retroceso hoy. Los grandes progresos realizados desde hace medio siglo están en entredicho en este momento. - Repito lo que decía al principio de esta carta: "¡SON MENOS CINCO!" -¡fünf vor zwölf!- La Historia no espera, sobre todo en nuestra época, en que el ritmo se embala y se acelera. 1. Una reforma teológica y catequética para repensar la fe y reformularla de modo coherente para nuestros contemporáneos. Una fe que ya no significa nada, que no da sentido a la existencia, no es más que un adorno, una superestructura inútil que cae de sí misma. Es el caso actual. hope you don't mind if i repost this in my blog...it's an interesting and credible article. i would gladly put a link back to your blog. anyhow, the church is still the same church just like it was since the fall of rome, in the middle and dark ages. however, its faithful flock have developed into those that long for more, and deeper levels of understanding the spiritual which its (the church) dogma, theology and cathechism cannot suffice. this is the result of those thousands of years of politicking and church idiocracy which removed those esoteric and more universal laws and principles which govern the human psyche. they, the early church officials, removed from essential catholic christian doctrine those principles and teachings which actually explained and answered the spiritual crisis and problems that made sense to the spiritual problems of the people. 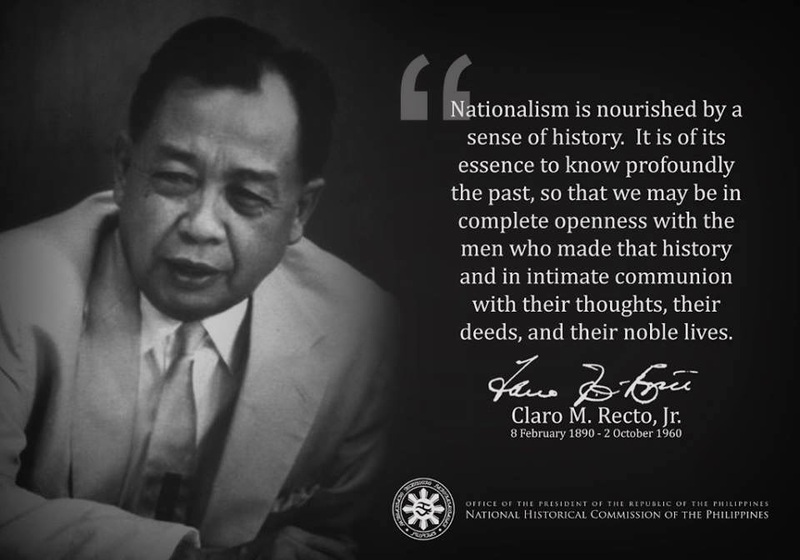 It is refreshing that at least one Filipino took time to read and most especially, pass it on for others to think about. And that is most welcome.